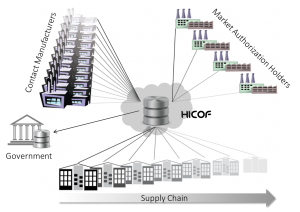 As cloud-based system, Hicof AMACENA allows the support of globally distributed business units and locations, either own ones or 3rd parties as e.g. CMO’s, production sites and supply chain units. In other words, the Hicof AMACENA cloud is also a data exchange hub. This is of upmost importance as interfaces to serialization/ aggregation stations also in remote locations and the supply chain will be required in the future. 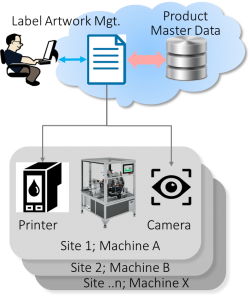 To ensure this hub functionality, the system offers a comprehensive tool for managing dynamically interfacing requirements with partnering systems. The optional Hicof AMACENA “Corporate” extension offers standard interfaces for data exchange with governmental agencies. 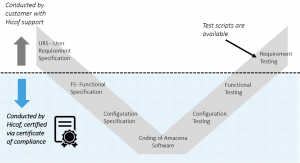 Hicof AMACENA offers a deep integration into the EMVS (European Medicines Verification System) to directly upload data for European Hub for the full EU market. Beside this Hicof AMACENA offers standard EPCIS data exchange functionalities for the exchange of 3T documents for business partners in the US.